The inaugural Twinings Pro-Am Tour Premier Calendar event was won by Simon Yates (100% ME) on Sunday afternoon. 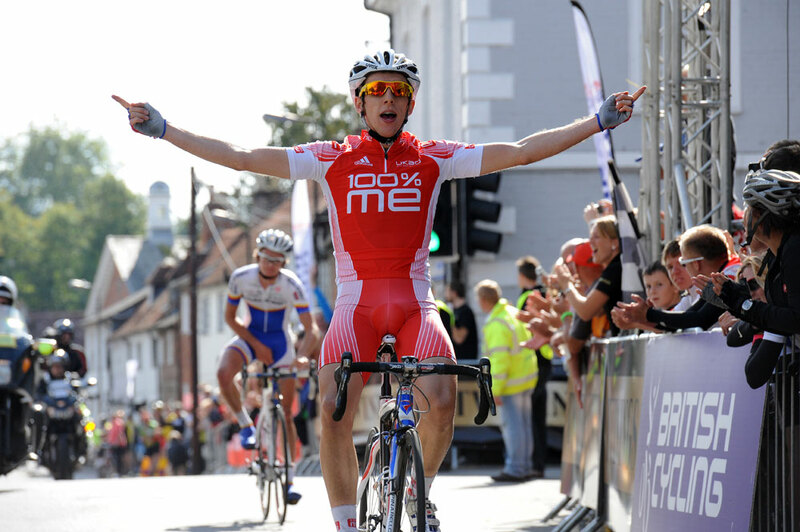 The 19 year old from Bury, Manchester, claimed his first Premier Calendar as he took the line from Richard Handley (Raleigh) with Matt Cronshaw (Raleigh) crossing seconds later ahead of the remainder of the lead break to complete the podium in Wilton’s market square near Salisbury, Wiltshire. The new Premier Calendar race, devised by ex-pro Harry Lodge and Andy Cook, took the riders around four 17-mile circuits before six shorter 5.5-mile finishing circuits all centered out of Wilton’s market square, giving a total race distance of 101 miles. The race stayed together as it approached Fovant for the first time at the furthest point out on the large circuit, passing close to the ‘Fovant Badges’, a series of regimental insignia set in to the chalk escarpment which dominants the landscape. As the riders tackled the first prime up the slopes of the escarpment at Fovant Down and the second prime at Windwhistle, four riders came to the fore. Russell Hampton (Sigma Sport-Specialized), Nicolas Gustavesson (UK Youth), Luke Rowe (100% ME) and Jonathan Teirnan-Locke (Rapha Condor Sharp) had eked out a gap of 39 seconds by the close of the first lap. 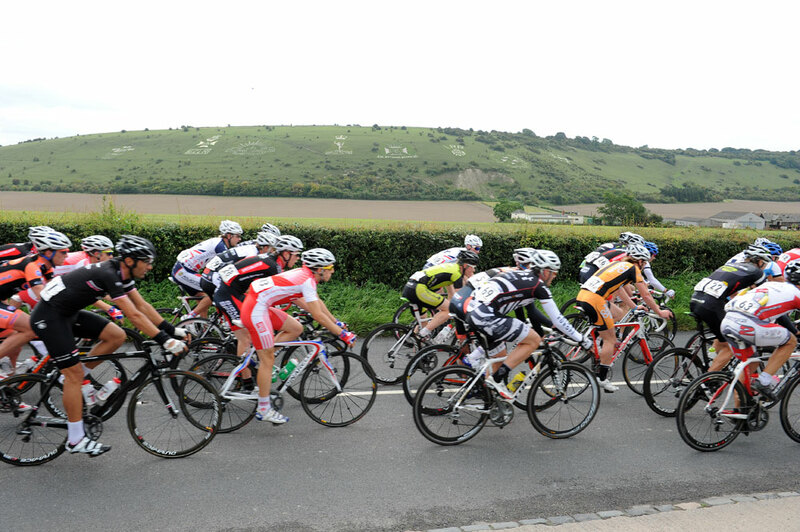 By the second time up Fovant Down the quartet had established a gap of around two minutes to the chasing peleton. Their advantage hovered around this mark until the fourth lap where their time gap came down to within 35 seconds as the race entered the final six shorter circuits at the 68 mile point. Raleigh were now on the front with Dan Fleeman and Richard Handley initially leading the chase and by the close of the first small circuit the race was all back together. There were then a few moves attempted but it was eventually Mark Christian, Simon Yates (100% ME), Evan Oliphant (Endura), Dan Craven (Rapha Condor Sharp), Johnny McEvoy (Motorpoint), Matt Cronshaw and Richard Handley (Raleigh) who made the decisive race winning break within three laps to go. As the bell sounded the seven riders had established nearly a minutes advantage over the rest of the race. With Raleigh and 100% ME having the advantage in numbers in the move, the winner was likely to come from them and so it was. 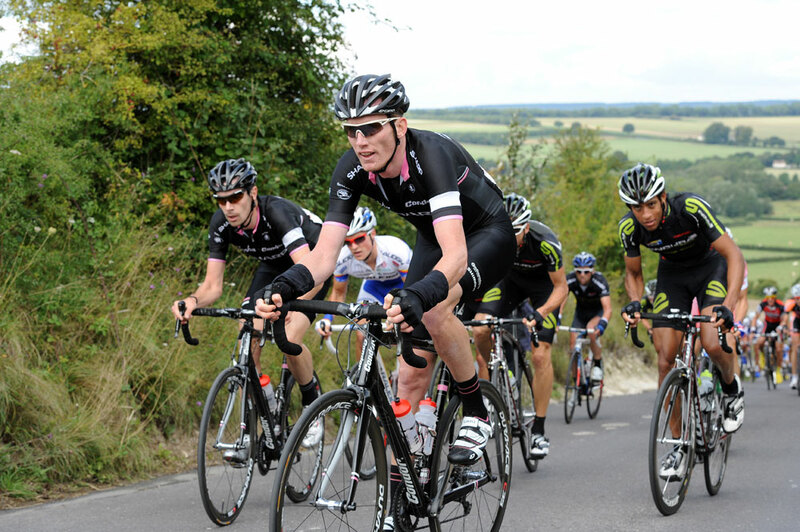 Yates attacked in the back of the circuit and was joined by Handley with the pair holding a few seconds advantage. Yates sprinted clear in the closing metres to take an impressive win from a valiant Handley. Cronshaw brought home the remainder of the seven man break 12 seconds later with another 100% ME rider, Luke Rowe bringing home the chase for eighth spot almost a minute later. The 100% ME squad showed well throughout the race and their form bodes well as they go in to the Tour de l’Avenir from the September 4-11. With Rowe in the early break, and Christian and Yates in the finale, 100% ME had everything covered as Yates told Cycling Weekly afterwards. “You always want the numbers up there in the race and if you have them there the race always goes your way really. We got two in the final break that went so we used that to our advantage. 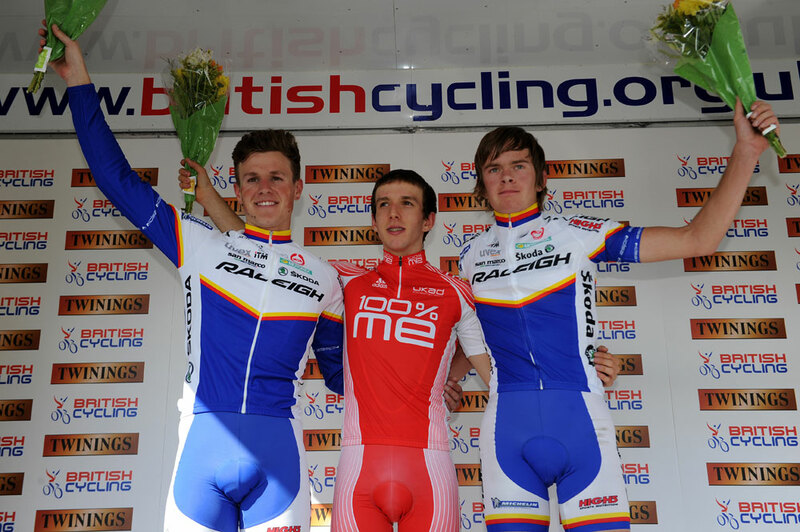 From Raleigh’s perspective, Cronshaw and Handley were philosophical about just missing out on a win but happy with getting up on the podium “We missed the first spit with the four riders away and then the last time over the climb we organised a chase.” Handley told Cycling Weekly. 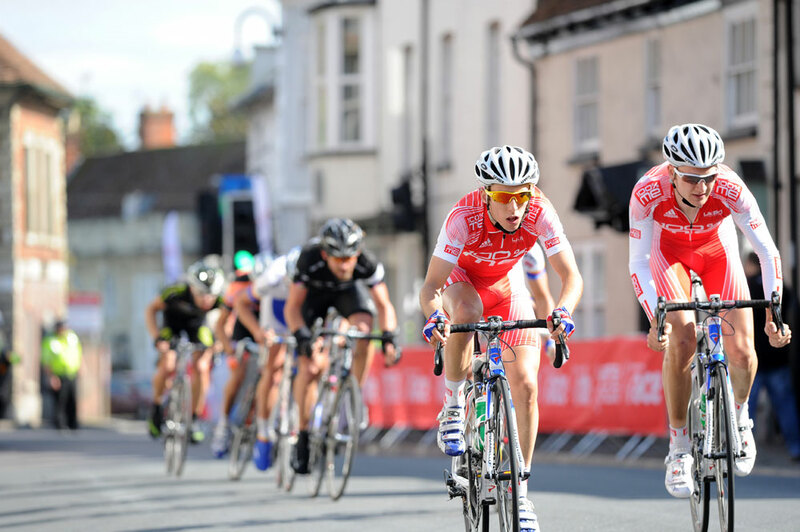 There now remains one round left in this year’s Premier Calendar Series – The Richmond Grand Prix in North Yorkshire this Sunday, September 4.